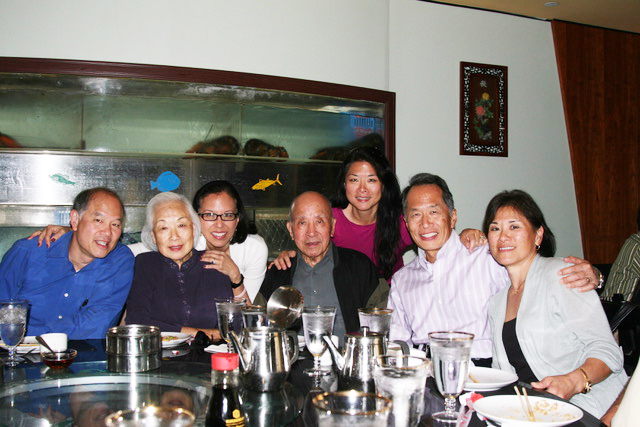 This devotion to family and community, modeled by Michael Yung-An and Maria Chang Yu, became a central theme in the life of the Yu family. 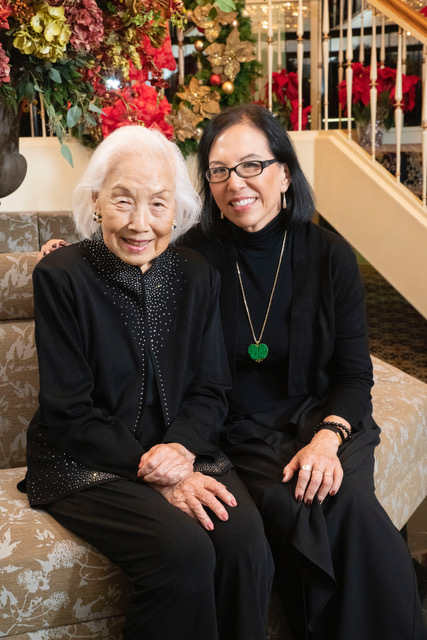 As children of 1940’s Chinese immigrants, Pattie Yu and her five siblings can easily chronicle the path newcomers take. “It was the rule and not the exception that each of us kids at home were to be responsible for our chores and be respectful. We were expected to greet my father with his slippers and pipe when he would return at 8 o’clock at night from his company. We ate as a family despite the late hour. We had to get good grades, practice one or two instruments daily, and pray the Rosary as a family before going to bed,” says Yu. Education and excellence were a priority even though Michael and Maria’s background diverged. Yu’s father never had the opportunity to attend high school. In 1937, he did enter the Chinese Air Force Aeronautical Technical School and studied aeronautical engineering. Yu’s mother was valedictorian of her class at Shanghai College and later went on to earn her Master’s in social work at Catholic University. “Part of our emphasis on education was beyond academics in the classroom and took root in music lessons and performances, and on the playing fields in competitive sports. When we played music together, my father would play the harmonica and my mother played the piano. When we played sports we took it as far as we could-–we were all very good swimmers, for example,” recalls Yu. “My father also inspired our education with his cleverness and ingenuity, and my mother with her strong work ethic and service. My father helped us with science and creative projects. He once made a Halloween costume out of strips of newspaper for me, an homage to my dream of becoming a journalist,” she adds. “After three boys, my parents so wanted a girl that my father was especially thrilled when I was born. Of course, I was spoiled as the first girl. My father’s nickname for me in Chinese translated to ‘precious.’ With him as coach, I won first place in a fishing contest, beating out the boys. He also taught me to cook really well. My mother, in turn, coached me as I pitched for our promising softball team,” says Yu. At home her parents spoke English and a Shanghai dialect interchangeably, so that everyone could understand enough to know if someone was talking about them. The children took Mandarin at a weekend school, and all three girls eventually took Chinese in college. “We watched our parents, aunts and uncles play mahjong often, but if we didn’t focus on our studies (and workbooks over the summer) and music practice first and foremost, we would have, for example, our deck of playing cards taken from us to the point that mom threw away our cards and my sisters once hand made new ones,” says Yu. And like other ABCs (American-born Chinese), the family preserved Chinese traditions. They wore red on Chinese New Year, made sure not to take photos of the number four, exchanged good luck money packets, and ate the longest possible noodles during birthday celebrations. And community came first-–especially family. As Americans, the family lived simply and authentically. Early on, through an U.S. missionary, Yu’s parents both converted to Catholicism. Maria was active in Sodality and Michael joined the Knights of Columbus. They both volunteered with the scouts, and their children largely attended Catholic schools. Weekends were spent hosting family and friends, which sometimes included watermelon seed spitting contests. “We did not wear any name brands, and there were no fancy shopping sprees. Our big family treat was going to the UMD campus for homemade ice cream. I wore hand-me-downs from my brothers, got my coat at a grocery store. We all worked at a young age, cleaning houses, delivering newspapers, mowing lawns, waitering at church social functions. My parents never lived beyond their immediate means. If it required a payment plan, it was considered frivolous,” remembers Yu. Eventually, the family moved from a small house in Landover to a much larger one in Beltsville. “My father drove a Cadillac and a Buick station wagon. He never drove foreign cars. It was against his principles. He was very American,” observes Yu. And while Maria worked part-time and managed the family's activities, Michael built up two very successful import/export businesses in Maryland-–Universal Manufacturing and Supply Corporation and Tomike Corporation. With knowledge and influence, comes responsibility. For the Yus, there was always an emphasis on giving back and paying it forward. They sponsored more than 20 Chinese friends and relatives who came to the United States to study or in search of a new life. “They paid for others to go to school. My father never said no to people who wanted to further their education,” says Yu. Along with his long list of beneficiaries, the Yu children became accomplished in their own rights, as well. There is oldest brother James V. Yu, a globally successful former GM of a $550M portfolio at GE Motors and later an M&A Managing Director at GE Energy; Dr. Gerard V. Yu, an internationally renowned podiatric surgeon who died in 2005; John F. Yu, who once carried the Olympic torch in Tennessee and was lauded more for his volunteer rescue squad service than for his day job, who died in 2012; Bernadette Yu, co-founder of FYI-For Your Information, Inc., an enterprise IT, human resources management and training firm, named one of Washingtonian’s best places to work; and Dr. Angelita Yu Crowley, a former popular University professor and psychologist now with the government and in private practice. 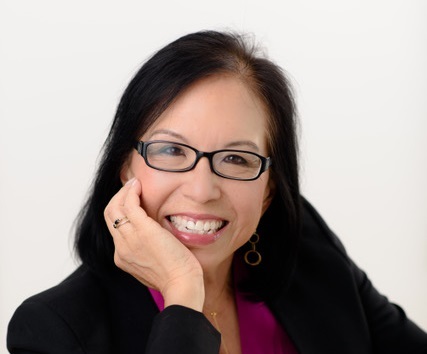 And then there is Pattie Yu-– the resilient, personable, and creative public relations executive, who over 35 plus years built health and social issues practices at leading global PR agencies before starting theYuCrew, her own independent firm. She created award-winning campaigns, spearheaded diversity efforts, built teams, published in journals and books, and mentored many. And we come full circle to a career built on the immigrant experience and the constructs that propel and chronicle such a journey. From a young age, Yu wanted to write. “I think my parents wanted to steer me toward math and science, but I hated numbers. Maybe that’s the Asian stereotype--that we study engineering or science, and certainly my brothers did. But, ultimately, my parents wanted me to be happy-–and they were supportive, even though they didn’t really understand what I was trying to do at the time,” says Yu. She attended the University of Maryland as an undergraduate, eventually graduating with a degree in Journalism in 1977. While in school, Yu got her first break perhaps simply because she knew how to type-–a skill her mother encouraged her to hone in high school. “I took a course from Ron Sarro, who at the time was a Fox news editor and journalist. He needed someone who could type fast (and hopefully showed hints of good writing) and I was at 160 words per minute. So, he asked me to apply for a dictation specialist position at the Washington Evening Star, and I ended up doing the night shift. I did midnight to 7 a.m. I went straight to school, usually an 8:30 a.m. class, then went to sleep about 2 in the afternoon. That’s how I got exposed to journalism. I took dictation from people like Maureen Dowd and Gloria Borger who are now household names in national journalism-–they were city/community reporters then. It was an interesting world for me, and while there I got to co-byline with working journalists on a number of front page or section lead articles,” remembers Yu. After the Star folded, Yu went back to UMD and worked for University Relations where she was mentored by Roz Hiebert. It was a serendipitous drop into a field Yu didn’t know anything about. Hiebert taught her about public relations, and the art of writing for the newsletter. “Roz taught me everything I knew--she was an amazing mentor. I had to pitch stories, and I hated it, but I had to do it. I learned a lot, but I was really young. To partially pay my way through my undergraduate education, I also worked in the University Planning Office and started a newsletter there, thanks to the encouragement of my boss Patrick J. Murphy who recognized my passion for writing,” says Yu. In 1981, Yu finished her Master’s degree at Maryland. The last course she took was in social marketing, taught by the great Bill Novelli. “He would pick on me in class. And then one day not long after I finished my degree, he recruited me, over a Ledo’s pizza, to work at Porter Novelli-–with a $23,000 salary. I felt like I hit the jackpot, but didn’t know what PR really was or what an agency did. And I wasn’t used to working weekends at UMD. I worked so much that my neighbors thought I should give up my dog-–because I was never home. But I got to work on things that really mattered–-diversity, social justice, health care. I didn’t have to check my conscience at the door. I got exposed to issues and campaigns that mattered to me. There is lot of compromise in this business and luckily I didn’t have to,” says Yu. “What you call ‘soft skills,’ which I prefer to call ‘people skills,’ are hard to learn and are not often taught. These are critical skills that make all the difference. Someone who can listen (really listen), persuade (in many forms), ask insightful questions, excel at extemporaneous communication, follow and lead depending on circumstances, is going to do well and probably succeed in a career and in life. This brings me to Pattie. She is a natural because she is so caring and solicitous of others. She has a big heart and is a generous person. Beyond that, she was shy when I first met her. After she came to Porter Novelli, I wanted her to be more forthcoming and be a stronger communicator. She took this to heart and did so. She has been a good presenter, speaker, and listener her whole career. She has great people skills and she was deliberate in self-reflection and in developing those competencies,” adds Novelli. Yu stayed with Porter Novelli through its acquisition by Omnicom. While there, she ran a national campaign for the National Heart, Lung, and Blood Institute on its landmark high blood pressure and cholesterol education initiatives. In 1988, she became the youngest ever PR Vice President nationwide, eventually serving on Porter Novelli’s Board of Managers. In 1994, she was recruited by Fleishman Hillard International to build its health care, association and social and consumer marketing business from the ground up. “I stayed two to three years, assembled a talented team of 30+ people, and did well. I have always emphasized feeding relationships with others and listening to understand. Just as important was the care and commitment not only to clients but the colleagues and coaches I had the privilege of working with. Yes, there was a lot of blood, sweat, and some tears. But, I always had a lot of energy and enjoyed learning from the people I worked with-–clients and colleagues alike,” says Yu. In 1998, Yu co-founded GYH LLC that evolved to GYMR in 2001-- a firm considered in the top 10 of independent health/social issues agencies with high-profile national campaigns, and an address on Connecticut Avenue in downtown Washington, DC. It grew quickly and in 2011 around Independence Day, Yu decided to step down from the partnership and go virtual with theYucrew. Over the years, the firm has won countless awards for the craft including the 2018 Public Relations Society of America (PRSA) NCC Hall of Fame and the PRSA MD Lifetime Achievement Award. She was also a two-time Silver Anvil award winner considered the Oscar of the PR industry; won PRSA Maryland Chapter’s Best in Show and Best in Maryland for an international public service campaign on thrombosis; PRSA National Capital Chapter’s Thoth Award; several Gold Circle Awards and overall Best of Show from the American Society of Association Executives (ASAE). And all the while, she engaged in a long list of volunteer efforts-–both pro bono professional and community service. She currently is on the Advisory Council of Washington Women in Public Relations (WWPR), is a former WWPR Woman of the Year and named one of the top minority agency leaders nationwide. Yu also comes to the UMD campus regularly to support career and professional development events. “I had a passion, a practice and a profession-–woven with purpose. I am grateful I did not have to check my soul at the door. Do well by doing good-–and then do more, I remind myself these days. I take the lead from my mother who at 94 years still goes to Mass daily and volunteers when she is able. Or my siblings who set a similar example with even more fervor. That’s the kind of integrity, kindness, faith, and perseverance that I seek, and wish to pass on to the next generation (my own kids and those I mentor along the way). My parents told us we can all do this, and we did,” concludes Yu. 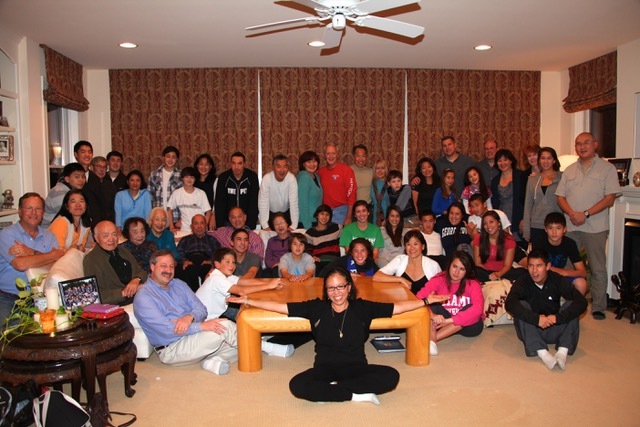 More information about Pattie Yu can be found here.